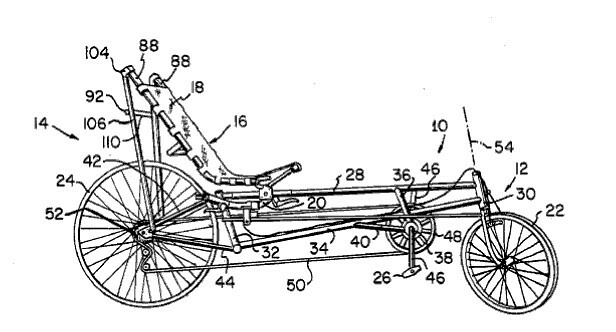 One type of recumbent bike is called a long wheelbase recumbent, and this is an example which was patented in 1981. There are several commercial models using this general configuration, such as excellent bikes by RANS. 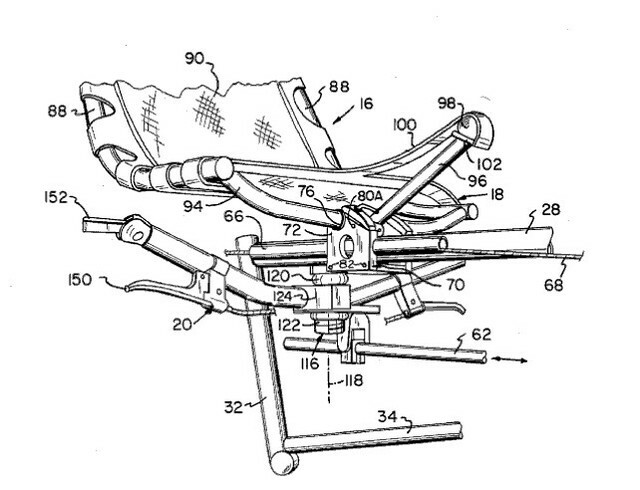 This model also has under seat steering, with a linkage to the front wheel, which is still a popular mode of steering.